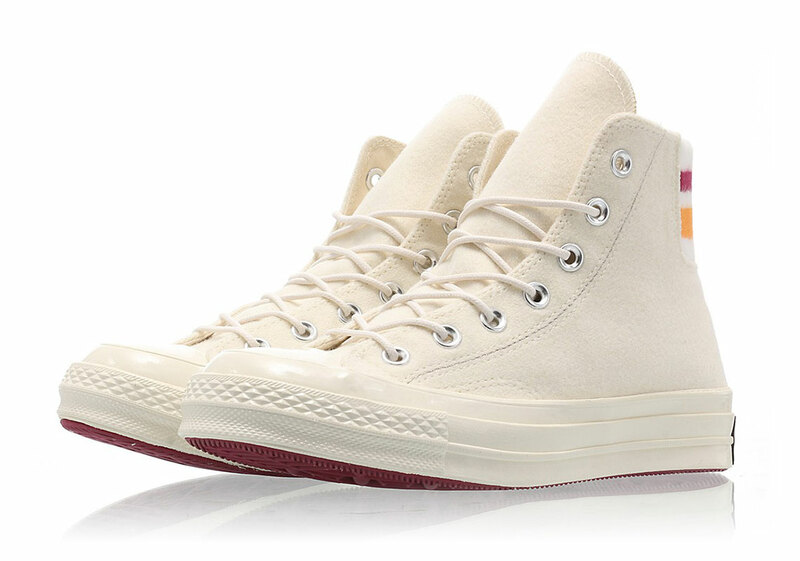 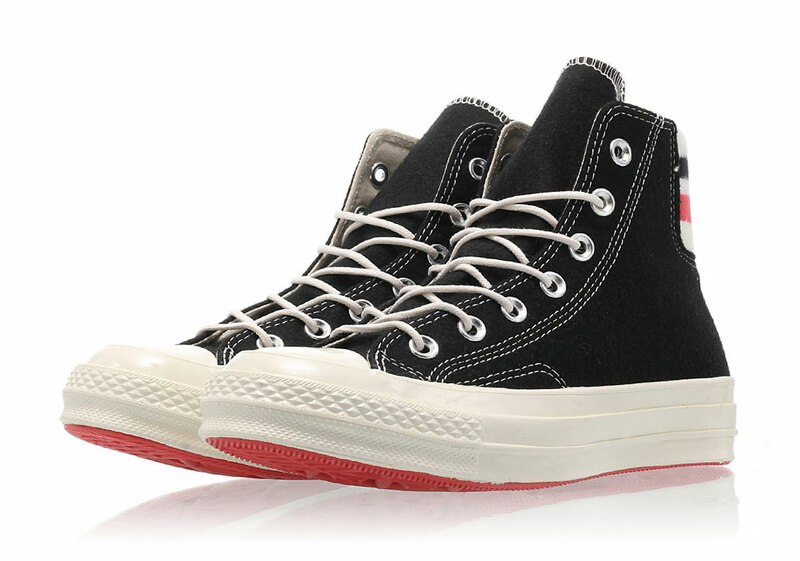 As one of the first basketball sneakers to take the world by storm, Converse’s Chuck Taylor silhouette — with its cemented roots in Americana — have continued to maintain its status as an icon during the countless years since its introduction, proving timeless design beats all trends. 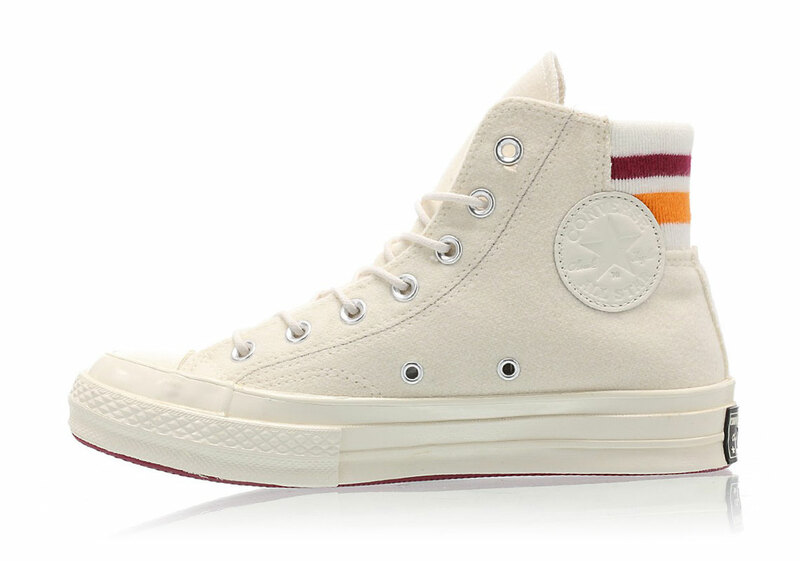 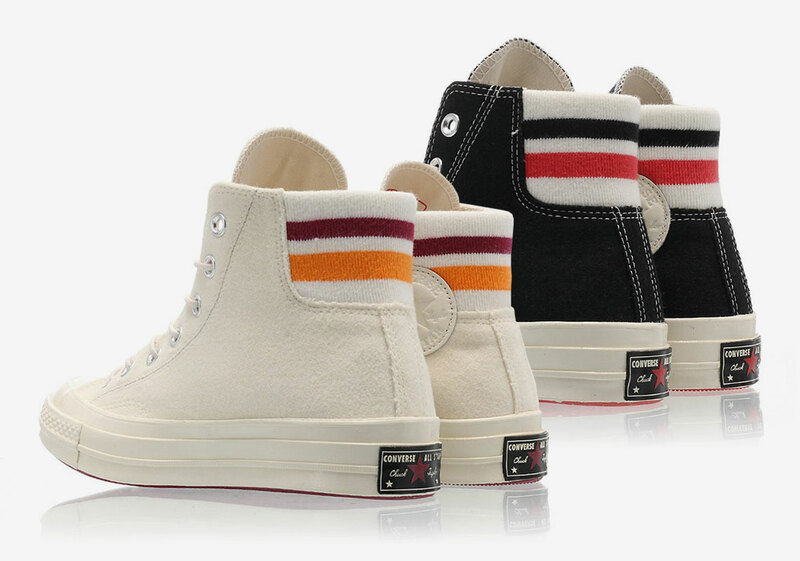 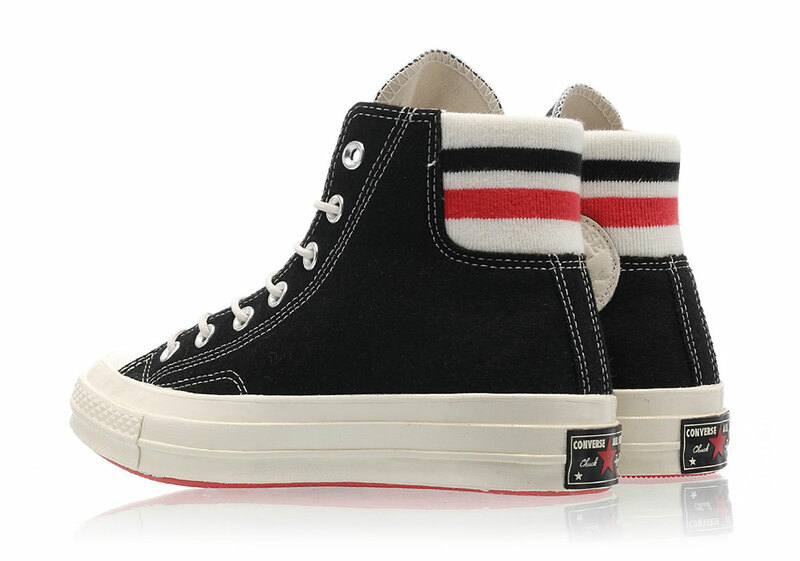 Calling back to this nostalgia and its oft-forgotten roots within performance, the Chuck 70 is making a return with a modified ankle, adorning its usually understated construction with one consisting of a tube sock reminiscent motif. 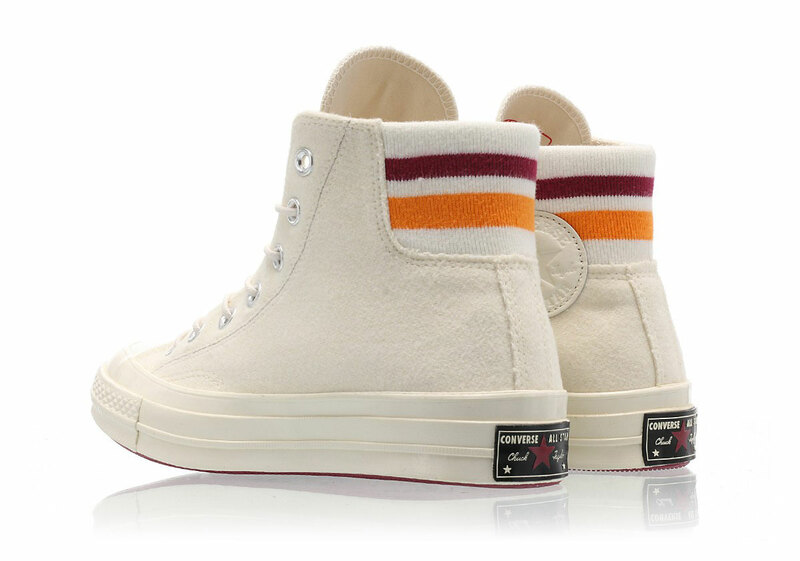 Utility comes improved from the typical canvas models, as slipping into the tightly wound high top is now a trivial task due to the elastic ribbing. 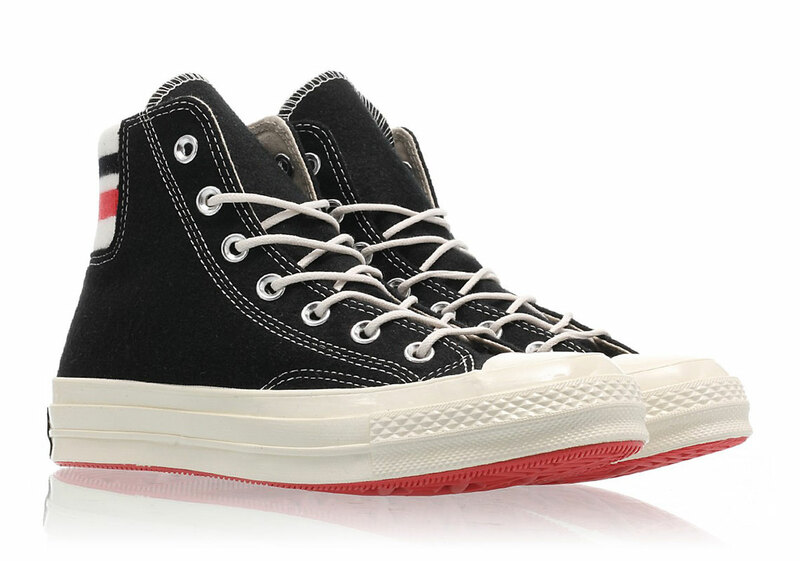 The matte distressed upper found on both the black and white colorways exude vintage in every facet with the removed foxing strip, thin laces, and whited out medial patch assisting in that endeavor. 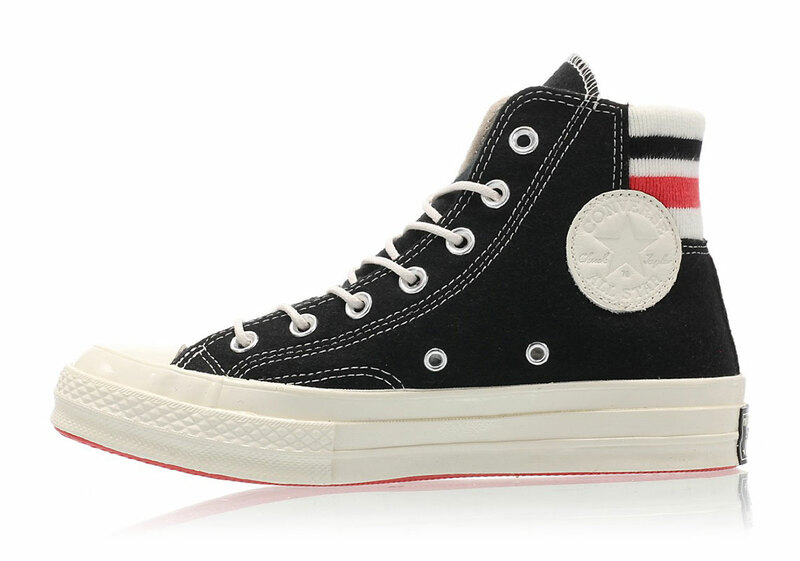 At a price point of $90 USD, expect to find both pairs hitting the retailers below.